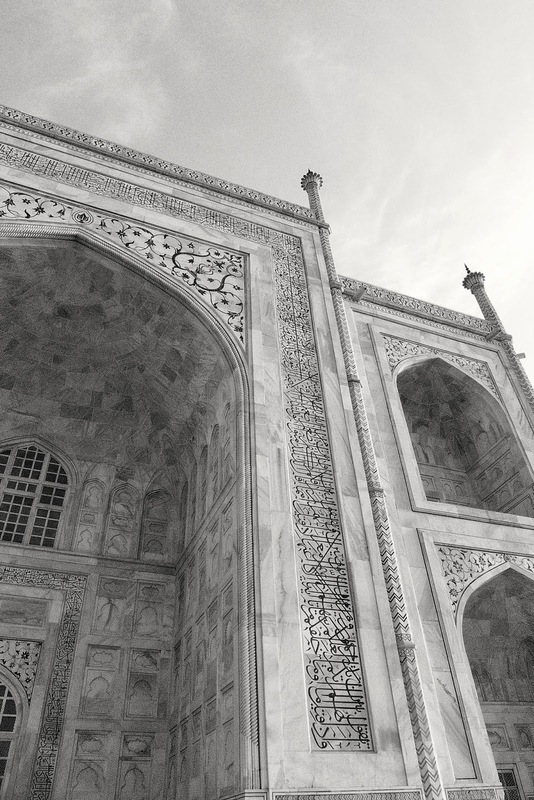 The Taj Mahal is majestic. 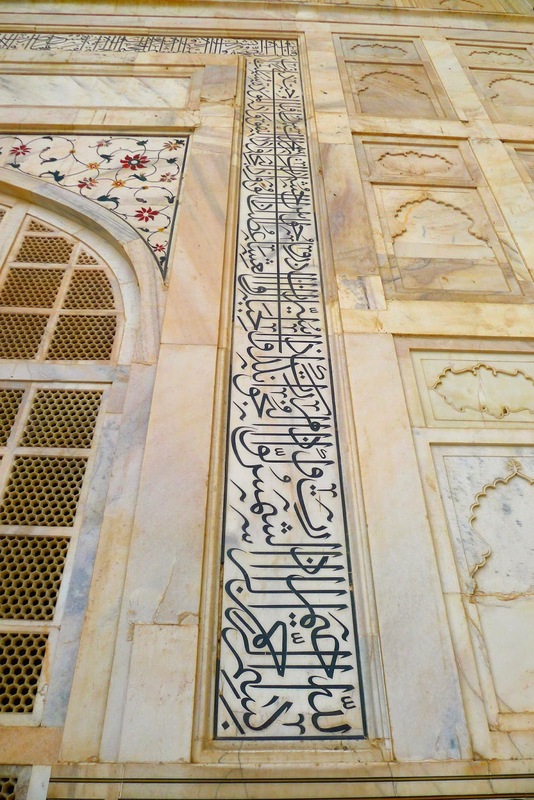 Completely symmetrical from the outside (inside the two cenotaphs are not positioned symmetrically). Although the complex is filled with tourists, there were places where it was possible to sit apart and admire the beautiful architecture. We were here for sunset, which was also lovely. 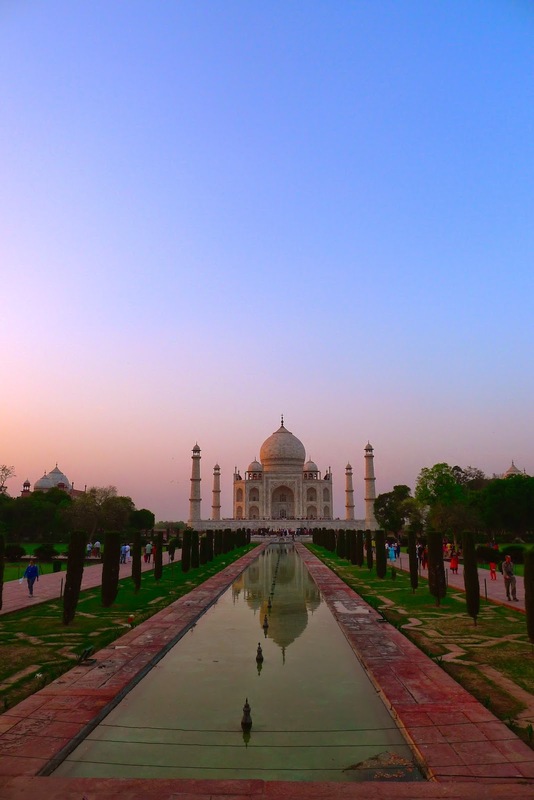 The sun actually sets to the side of the Taj Mahal, and rises right behind it. Sunset wasn't a disappointment however. As we watched the sun descend, the buildings were bathed in the gorgeous yellow and orange light from the setting sun, turning the sky pink at one point. I also particularly like some of the clouds captured in the photos below. There are a lot of pictures here, of this one building, and there are many many more that I begrudgingly left out since 72 photos is a little too much for a blog post, even by my standards! 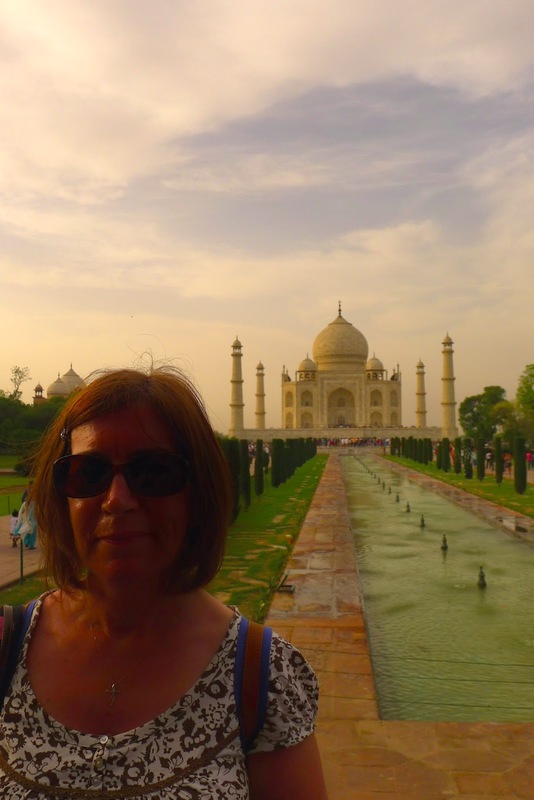 One important aspect of my trip to the Taj, was the hideous situation I encountered inside. This was all pushing, shoving, shouting and picture taking. 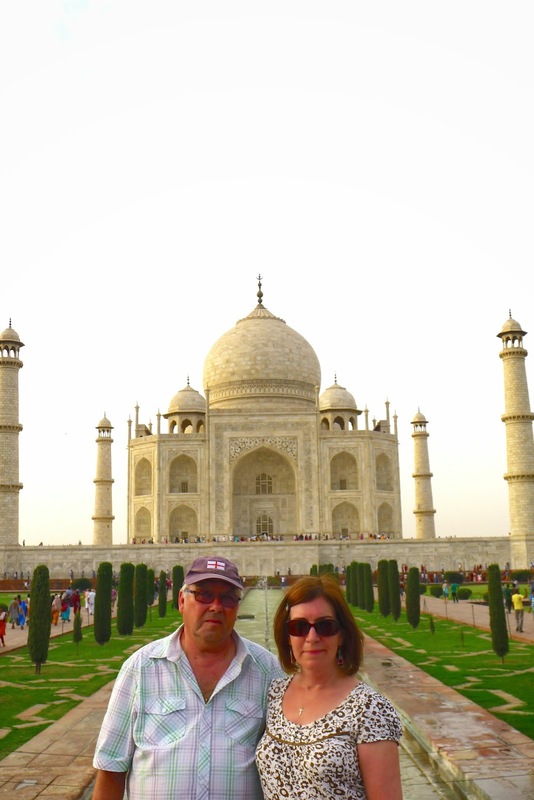 It's important to remember that the Taj Mahal is a mausoleum, two people are buried here. Sure, the tombs inside the public part are empty and just for show, but I was shocked at the complete lack of respect shown to this resting place. Security were doing a terrible job of controlling everyone inside and I was happy to get back outside and simply take in the view from afar. I'm grateful to have visited this heritage site, and for it to have completely lived up to its hype. Unlike when I visited the Terracotta Warriors in Xian, I did not leave here disappointed! A common occurrence during my trip to India and Nepal was extremely early wake up calls. I was up at 4.30am on 2 occations to try and catch a glimpse of a beautiful sunrise, up at 5am to jump on the bus and travel to the next destination (and caught glimpses of sunrises) and I was up at 5am to take an early morning flight through the Himalayas to see the peak of Everest. One of my favourite places visited on this trip was Varanasi in India. An extremely spiritual place, right on the ganges. This city is incredibly important to Hindus, a centre for pilgrimage. The ganges is considered holy, and to bathe here can purify one's soul. Many people come to Varanasi to die, because to be cremated here and have your ashes scattered into the Ganges means liberation from reincarnation. We witnessed a cremation ceremony, during a sunset boat ride, which I will post pictures of in another post, but despite how early the start, the sunrise I witnessed in Varanasi was one of the most memorable travel experiences I've ever had. 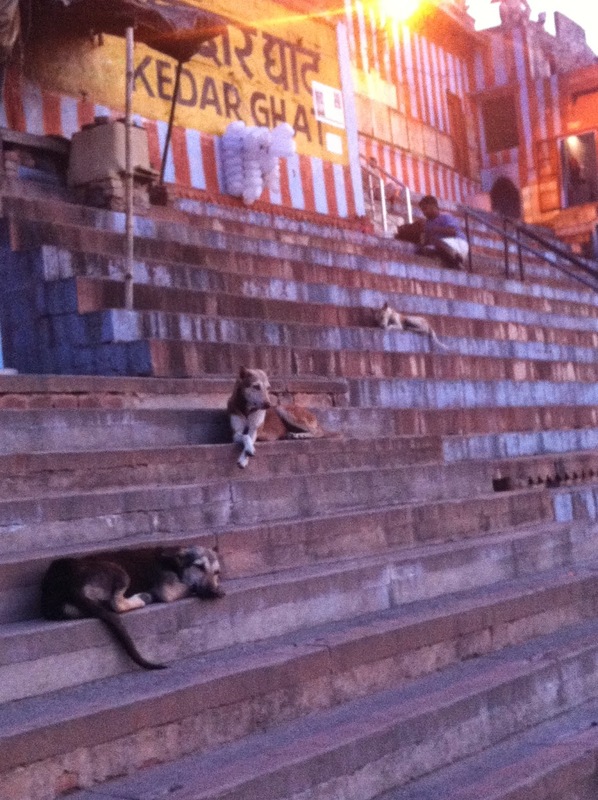 Amazingly I came to like the copious stray dogs in India, who would really mind their own business.